We are comprised of small groups (multiple groups to be developed after the initial model) that are experiential in connecting via inclusive acceptance across all cultures, minorities, and religions. Religions that do not recognize a higher power, but have other common set of principles or beliefs that tie to personal action and attitudes as an interactive professional community are also included. We are developing the training for this SIG into ST-OD (Schema Therapy for Organizational Development). Our membership is circumscribed to those ISST members who share at minimum the common professional values of non-violence/beneficence to each other across all differences and agree to acceptance without necessitating agreement, two basic ST values. There are two types of members, those who join to experience this diverse and dialogic connection that we share and foster ST-OD among their own professional contacts, and those who also wish to be more active in training. The latter members aim to pass on these ST-OD tools and specific attitudes, values, and insights that foster fully inclusive Organizational Development by offering future training for those who would like to join the next generation(s) of these groups. 1) Experiencing in a small group milieu Multi-Cultural, Minority, and Multi-Religious Dialogue & Inclusion among professionals. 2) Examining the application of specific interventions and applications of Healthy Adult Mode to foster Inclusive Acceptance as a model for ST-OD. 3) Attempting to Model in our own lives, Experience together, and Share with others (M.E.S.) a positive-spirited safe community of professionals. 3) To bring awareness that enhances remission of persuasion and point-of-view lobbying pressure. 4) Specific sharing and personal acknowledgement of our own cultural, and perhaps religious or sub-cultural/national perspectives, as we explore engaging techniques that incorporate these aspects into provision of services for persons from within these "multi-perspectived" groups. This serves individual/couples/marital/and group ST applications. Integrative interventions within our focus include areas such as: self-care, soothing/healing imagery, virtue development, and personal resilience. 5) Fostering attunement to religious and other cultural differences. This involves advanced expertise from within the particular religion and culture. Rejecting our own lack of information and ignorance, with are striving to inform and train each other to have understanding from within a particular culture/religion. With this training, the practitioner is able to separate destructive anthropomorphic applications from the religious or cultural heart of the message, to the satisfaction of the recipient within that particular culture/national group or religion. In sum, our ethos is not so much a discussion group as a highly personal, socially connecting group that not only has taken the basic course for admittance, but engages in positive experiences of inclusive diversity. Finding common core values and connectedness by focused application of the training, we work to form a safe environment. We meet every three months, for three hours via GoToMeeting, usually the first Sunday of the month, from 10:00 AM Chicago time to 1:00 PM. To form a reliable ritual of connection that we can count on, we commit to not miss sessions outside of true emergencies that are pre-defined. Each group is a closed group and is limited to 6 participants. Multiple groups can exist. 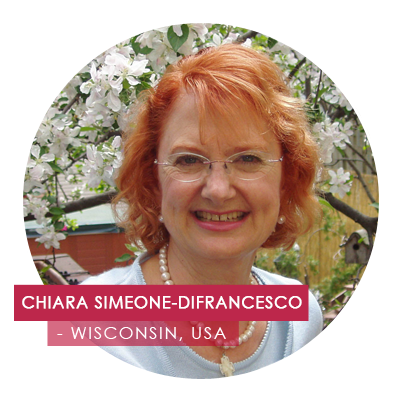 By providing training to the membership at large and offering succession groups for interested others, we hope to carry on principles of high-attunement, and acceptance in the midst of radically different views that influence each practitioner of Schema Therapy. The course curriculum will become eventually a set standard of modules for ST-OD. We will strive to create as much diversity as possible in putting together successive groups for those interested. We hope to be able to start the next generation of groups in 2018.